Its common knowledge that very few tenants leave their apartment empty and often you are left with their old discarded furniture, mattresses and large amounts of junk. Give your rental process a kickstart and allow our team to remove everything from your recently vacated unit so that you may begin your rental process faster! Whether you have a recently vacated unit that requires the removal of old property, or are looking to upgrade your rental space and dispose of old appliances and building materials, we are here to help you every step of the way. 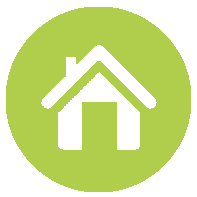 If you have several rental properties, we offer volume discounts to help you control – and decrease – the costs associated with re-renting a vacant unit. 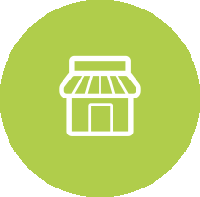 For small business owners or large chain stores, we have several different offerings to assist you with your waste management. As Needed – Should the need arise for a one time clean out, we can provide you with affordable and efficient disposal services with a quick turnaround time. Day-To-Day Removal – For companies looking for regular service, we provide volume discounts based on the volume of waste and the frequency of visits. Your dedicated Account Manager will work with you to best determine the best scheduling options and ensure that your store front is kept clean for the most important people of all – your customers! Whether you are replacing a roof, completing renovations or managing a large-scale construction project, garbage removal is an integral part of ensuring a smooth and timely completion. The removal of debris can make the difference of completing a project on time and on a budget, and that’s where are here to help. Control your costs and focus on what you were hired to do; allow us to take care of the rest! We provide you with the option of having your labourers load our bin as they go, or simply give us a call and we can assist you either further by providing the manpower to get the job done. We offer a wide service area; so wherever your projects take you, you can be sure that we will be there to clean up the mess!